Images can be shared with different privacy levels on a per-image basis or as an overall privacy level decided by the administrator. Anyone you share the link with can see your image. If you tend to share images with anyone outside the team, we recommend this option. Images will stay undiscovered until you share them, by default. You can optionally set a unique password for each image. This password will then be required for anyone outside the team to see the image when you share a link. You are not required to enter the password to see your own image. Only team members with the link can see your image. Anyone outside of the team cannot see the image, even if they have the link. Sign-in is required. 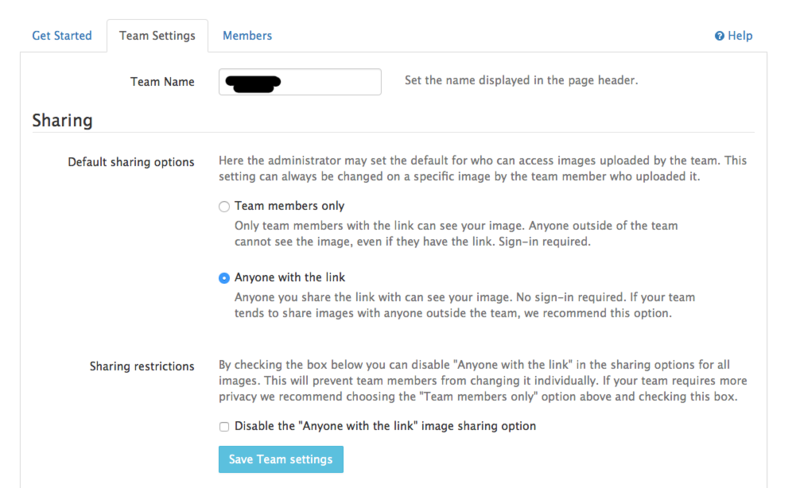 Decide who can access images uploaded by the team ("Anyone with the link" or "Team members only"). Decide to allow or disallow team members to change the sharing option to "Anyone with the link". This can be used to maintain privacy for company information. The administrator can go to the team settings page from the button at the upper right corner of any page on Gyazo. 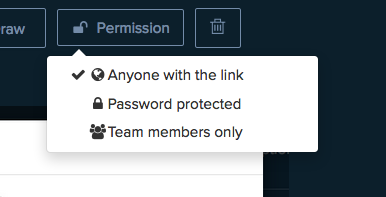 If your team requires more privacy we recommend you to choose [Team members only] option and choose [Disable the "Anyone with the link" image sharing option]. How can I end my subscription to Gyazo Teams? How can I pay for Gyazo, cancel, or update my billing settings?